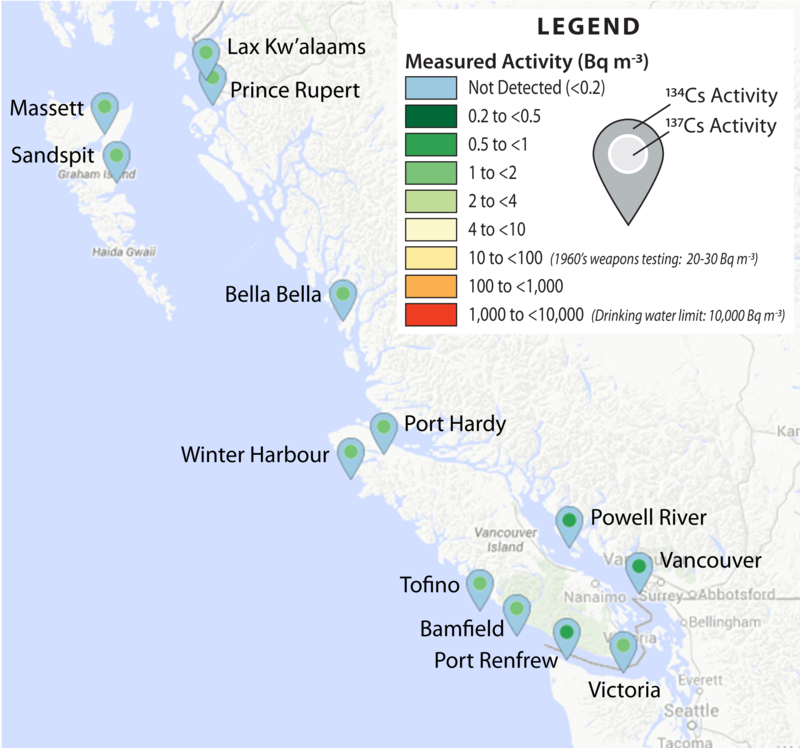 Forty water samples have been collected between October 2014 and March 2015 from 13 communities along the British Columbia coast. Results* from 19 samples are currently available. The remaining are currently in process with results expected in the near future. To date, no coastal samples have detectable (detection limit ~0.2 Bq m-3) levels of 134Cs, the radionuclide that is the fingerprint of Fukushima derived radiation due to its short half life (~2 years). All coastal samples have measureable levels of 137Cs (half life ~30 years), that is likely present because of atmospheric nuclear weapons testing that happened in the 1950s and 1960s and the 1986 Chernobyl nuclear disaster. *Note: Results are preliminary and may be slightly adjusted pending results from further chemical analysis.